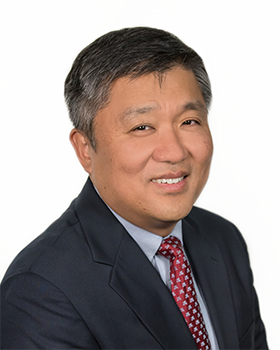 Dr. John Lee is a Pulmonary and Critical Care specialist who is board certified in Internal Medicine, Pulmonary Disease and Critical Care Medicine. He received his medical degree from The University of Toronto School of Medicine. He then completed an Internal Medicine residency and a fellowship in Pulmonary and Critical Care Medicine at The University of Michigan Hospitals. He is on staff at Ascension St John Hospital Detroit, William Beaumont Troy, William Beaumont Grosse Pointe, Select Specialty Grosse Pointe, and Henry Ford Macomb. He provides both inpatient and outpatient pulmonary consultations. His practice is devoted to the care of patients with critical illnesses, as well as a variety of lung diseases, including emphysema, chronic obstructive pulmonary disease, asthma, cough, and lung cancer. In addition, Dr. Lee serves as Assistant Clinical Professor of Medicine at Wayne State University. Dr. Lee sees patients in the outpatient setting at our St. Clair Shores and Shelby Township locations.